Jubilation, staff morale and recognition from your industry peers are just a few emotive reasons for competing in industry award programs, not to mention the pride displayed by all who are involved at state and national level when domestic and international guests read or see the trophy cabinet shining with silver. id Services Australia has committed to adopt the challenge of preparing award submissions on behalf of its clientele, often relieving busy owners, managers and staff of the burden. Testament to Christopher’s dedication to succeed in winning industry awards shine’s bright after recently winning the major tourist attraction category for the third consecutive year 2003-2005 – placing El Questro Wilderness Park into the highly sort after Hall of Fame within Western Australian tourism. Prior to this Christopher succeeded to ensure the same accolade was achieved in the categories of Unique Accommodation and Tourism Excellence. Internationally, Christopher has written submissions which afforded El Questro Wilderness Park as the 2002 Hotspot for unique places to visit, announced at the World Travel Mart held at Earls Court in London. 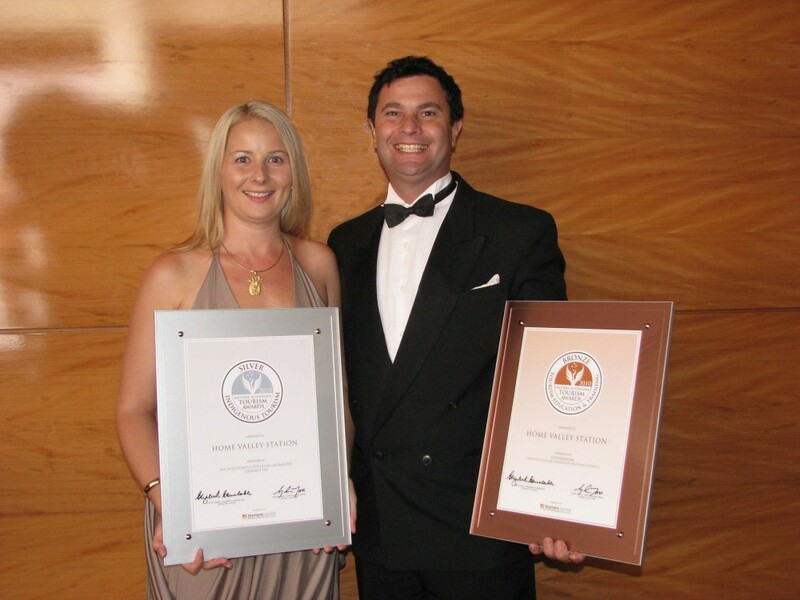 Pictured is Christopher Fenech receiving two Hall of Fame awards for Unique Accommodation and Tourism Excellence from the Minister for Tourism Hon. Clive Brown. 2002 was the first ever Year of the Outback, an outstanding success now cemented into Australia’s calendar of events. Year of the Outback 2006 will be a special year in that it is the first of the new quadrennial cycle, following on from the success of “2002 Australia’s Year of the Outback” which presented a challenge to Australians of all ages, city and country, to respond to their innate identification with the Outback. Christopher Fenech (pictured above) with Bruce Campbell receiving his Outback Ambassador award, at ATE in Brisbane. Bruce Campbell AM MBE, Chairman AODC and Chairman & Founder of the Year of the Outback was announced as the 2003 Australian Senior of the Year. 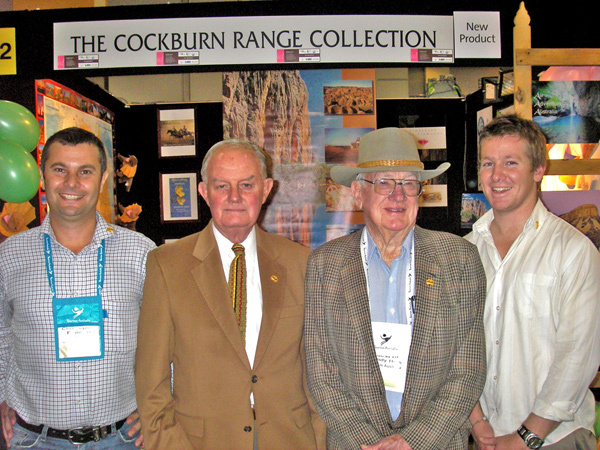 Five years prior to this, Chris’ multiple submissions to include David Baffsky AO – Chairman of Accor , Will Burrell AM & Celia Burrell AM – former owners of El Questro Wilderness Park and the famous outback legend Buddy Tyson were officially accepted and inducted as Ambassadors to this wonderful outback initiative. At this day, in Brisbane, Chris was surprised by the honour as he had arranged this award for Rod Dyer (3rd from the left), from Air Adventure Australia. Both John Dyer (4th along) and Chris were pleasantly surprised to have been acknowledged also on this day.